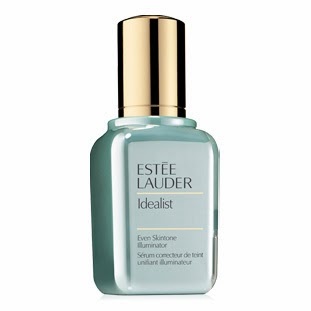 I was browsing the Estee Lauder booth at The Bay with my mom over my school break and I saw this Idealist serum (check out the website for more reviews and some of the promises it makes). As you all know, I am so fair that all acne scarring is very noticeable and I get red in my cheeks. I use the Kiehl's dark spot serum for my scarring but this sounds interesting because it's meant for redness, acne scars, dark spots, sun spots and discolorations. It's more expensive than Kiehls ($72.50-135 CAD depending on the size of the bottle) but it promises to do more. My mom uses a lot of Lauder products and she loves them, as well I adore their Perfectly Clean exfoliating face wash and toner. It's an oil free serum (perfect for my oily skin), non-acnegenic, dermatologist tested and it's meant to make your skin brighter and more even over time. It sounds like my skin will love it. Don't you just hate when you find a product you really want to try but it costs more than you have to spend? I am always looking for a new product to even me out so that I don't feel like I have to always wear concealer to cover my dark spots and redness. Being so fair, any flaws on my face, small or big, look magnified. I've heard really amazing things about this serum and I'm planning on getting a sample when I go pick up my Double Wear Foundation. I always like to see how my skin reacts to a new product after a few uses because I am so sensitive and acne prone. Have you tried this serum before? What did you think? What's your favourite serum for evening out skincare?